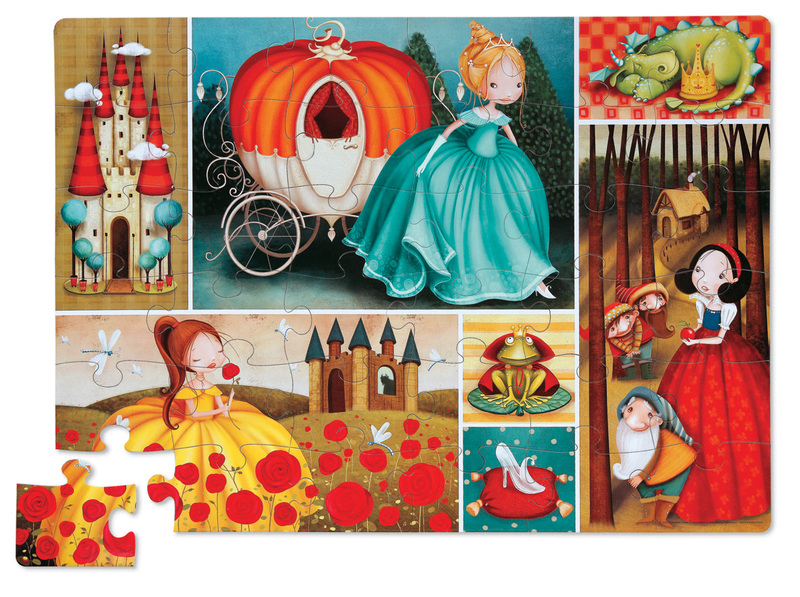 10 smart ways to puzzle together a jigsaw. In our previous blog about the educational value of puzzles we discussed the many skills acquired and improved by your child when they do a good quality jigsaw puzzle. But it isn’t a question of just giving your child a puzzle and leaving them to get on with it. Puzzles have lots of educational and developmental potential for your child so here are our top tips for getting the most out of puzzle time. 1. Don’t puzzle alone – make it part of the bigger picture. In order to maximize the educational value of a jigsaw puzzle, it needs to be part of an overall learning process. 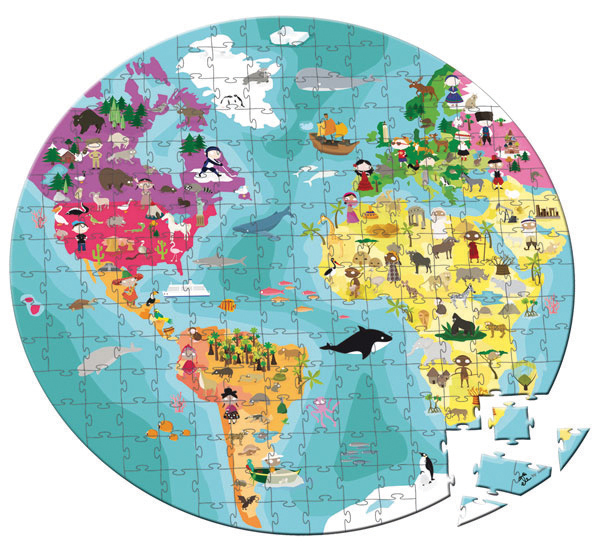 So use a puzzle to introduce a new subject such as a world map or sea creatures and then combine this learning with books, the internet, stories and drawings about the same subject. 2. Use you children’s jigsaws to consolidate learning. Use a puzzle to expand or reinforce something your child has already learnt about such numbers or farm animals. Remember the tactile nature of a puzzle can really help your child with things like shape recognition (a necessary pre-reading skill). If your child tends to lose interest or concentration, try doing the puzzle with them. But be careful, it can be a fine balance between helping and taking over. If your child is very young or they’re tackling a slightly more complex puzzle, try sorting the puzzle pieces into small groups that go together such as colours or patterns. 5. Age appropriate, good quality jigsaws. Make sure you chose the right puzzle for your child. Most puzzles clearly state an appropriate age but check the number of pieces. A child’s first puzzle will probably have six to ten pieces but with the help of an adult, children three years and up will soon be doing puzzles with 36 pieces or more. We will soon post our personal experience about the difference between manufacturers recommended ages for puzzles and real life experience. 6. Small puzzles within the whole puzzle. If you have different age children try giving your youngest a small portion of a bigger puzzle. This way they’ll still be part of the team effort to put the bigger puzzle together. 7. Allow time. Don’t pack away the puzzle. Sometimes it’s easy to forget that your child doesn’t have to complete the puzzle in one sitting. Puzzle are a great thing to come back to time and again.If your child hasn’t finished the puzzle and you have the space, then try leaving it out somewhere safe for them to return to and finish when they’re ready. 8. Jigsaws – they’re a gift. Any time spent by your child doing a jigsaw puzzle is time well spent and if you’re helping them with it, it’s a wonderful opportunity for meaningful time with your child. 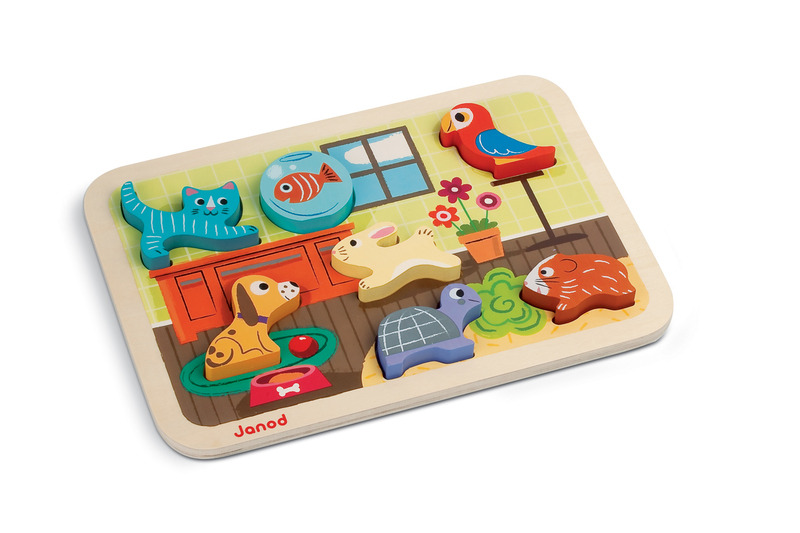 All too often over looked, puzzles make a timeless, traditional gift packed full of learning and potential. Doing a puzzle teaches your child life skills like patience, determination as well as delivering a sense of achievement and if done together as a family, team work skills and sharing too. At the end of a busy day, what better way to wind down than with some quiet play doing a puzzle together. At The Toadstool we’re well and truly puzzled. Chloe and I are mad about puzzles and we have carefully chosen a range of high quality, educational jigsaws which offer your child something traditional but unique as well as lots of opportunity to learn and develop naturally. 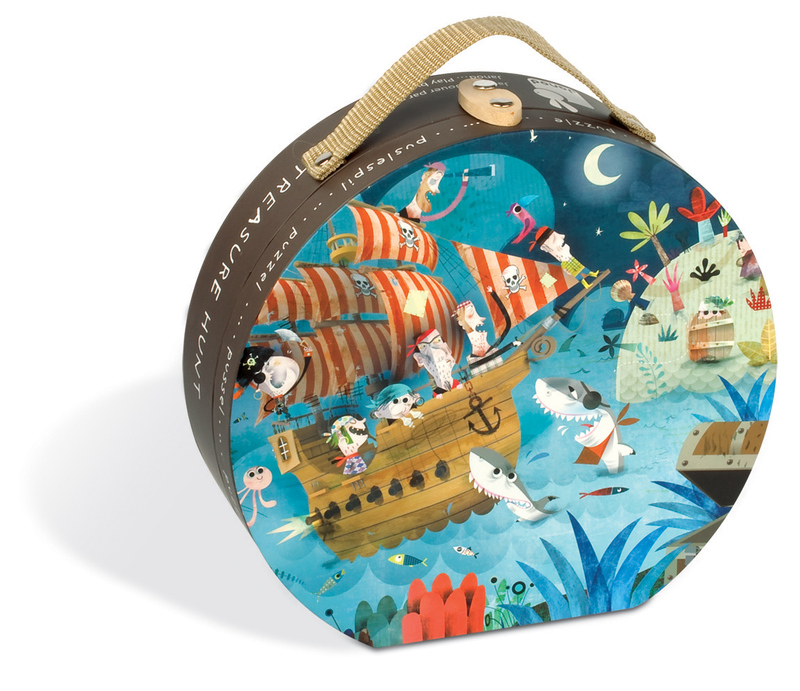 So have a look at our selection of children’s puzzles. We’ve picked the very best to give your child a fun start to their learning and development and to bring you an opportunity to enjoy some great time together. And help us spread the word leaving a comment on our blog and Facebook Page. Really precious tips. Puzzles are not only great fun but also a best way to relieve stress. When I was new to jigsaw puzzles I start with a simple image and a limited number of pieces but now with a lot of practice I play much faster to make my puzzle. It is a great fun for me. My youngest adores jigsaw puzzles, whereas my 4 year old prefers 3 dimensional puzzling. They’re almost on a par with jigsaw ability, despite there being exactly 18 months between them!